God loves me! And God loves you! Everyone has a desire to be loved, but there are many many in this world today who feel unloved or who have no one who really does love them. But good news! They can know the love of God. He loves everyone. And we can love Him because He first loved us! I want my grandchildren to know how much God loves them! He loves them way more than even their mom or dad could love them if they are blessed enough to come from a loving home. We can see His great love through this all familiar verse. These are excellent verses to teach the truth that God loves us! It is all throughout the Old Testament as well as the New. I am so glad we have a God like this! But friend, we must also teach our grandchildren that He does not clear the guilty. He does not leave the guilty unpunished. 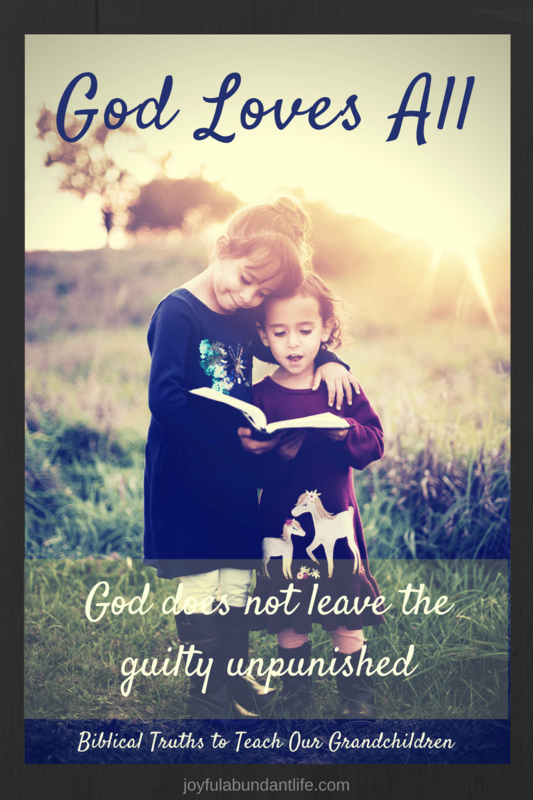 There is only one way to have our guilt cleared and that is through our believing on the Lord Jesus Christ and what He did for us on the cross. He shed His precious blood for my sin, for your sin, so that we could be redeemed! Hallelujah what a Savior! Don’t let the world tell you that God is harsh, judgmental, and mean! That is all a lie! He loves all! He loves you! If you have never trusted Him, won’t you do it today? 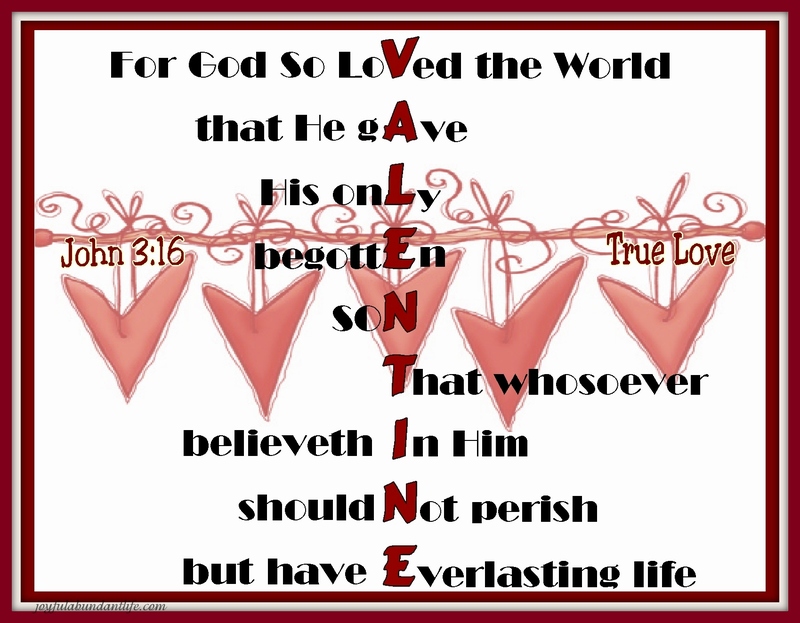 1John 4:19 We love him, because he first loved us.